SLICING BLADE (i.e. knife) style overseeder. This is NOT a flail blade or rotating flail reel style overseeder. Will cut at 1/4" or 1/2" (max) depth. Seed box holds approx. 20 lbs. of grass seed. 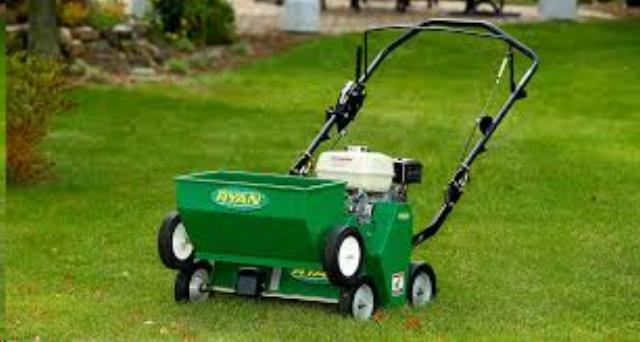 * Please call us for any questions on our overseeder gas lawn rentals in Tualatin and Eugene, serving the Portland Metro area, Eugene/Springfield Metro area, Oregon, and SW Washington.